Shop ’till you drop or for every day use. Compose your own set of colours and your bag. Closes with an invisible zipper. You may vary the length of the straps. 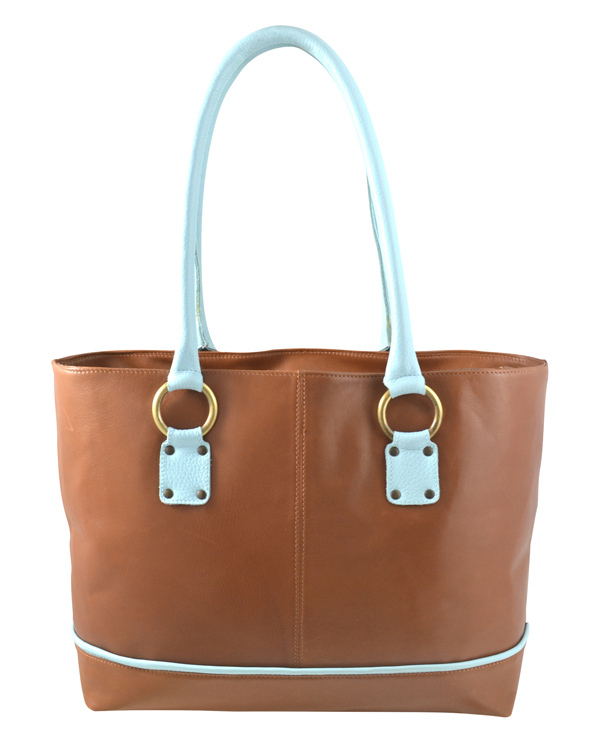 Closes with a top zipper, this bag is able to stand alone. Also available in a mini-version. 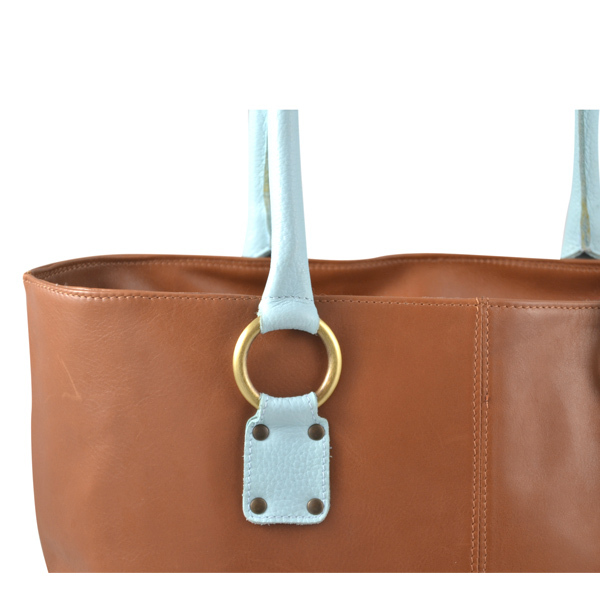 This bag is made out of cognac and baby blue coloured leather, but any other color or combination is possible. 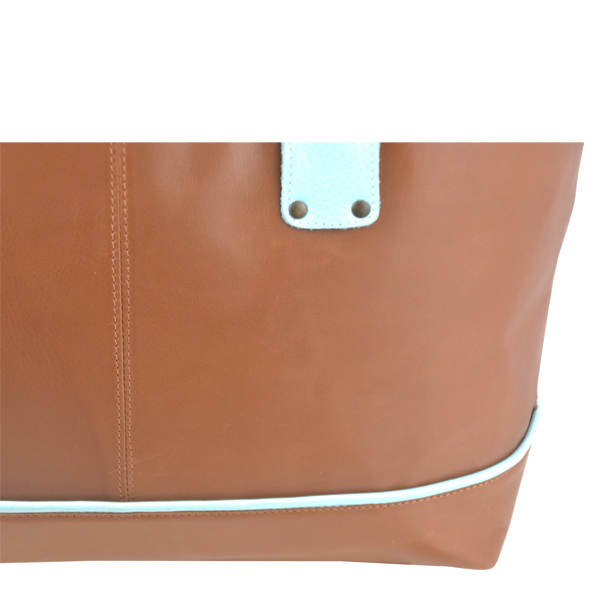 We made this bag with a dark turquoise coloured skai leather lining. Skai leather is lasting, it will bring light into your bag and is very low in maintenance because easy to clean. 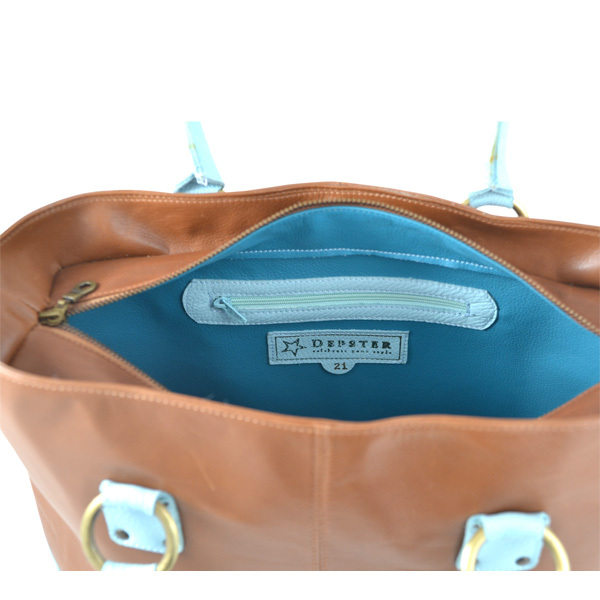 Our bags have a standard zipper pocket inside.